Jazz Dance is available for children aged from approximately nine years old. Jazz Dance consists of three awards, Bronze, Silver and Gold. Jazz awards run perfectly alongside the Modern Theatre syllabi. Children may have the opportunity to participate in examinations to gain a certificate showing recognition for all their dancing ability. 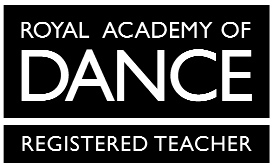 Students who are successful will receive a certificate issued by the Imperial Society of Teaching of Dancing. Similar to the Modern Theatre Syllabi, the Jazz Awards are fun and energetic and encourage a real enthusiasm and passion to dance and perform. Students will enhance their sense of performance and will improve their overall expression and theatrical qualities. The Jazz Awards have fewer exercises than the Modern Syllabi for examination, which make them an exciting difference to learn alongside the Modern Theatre grades.